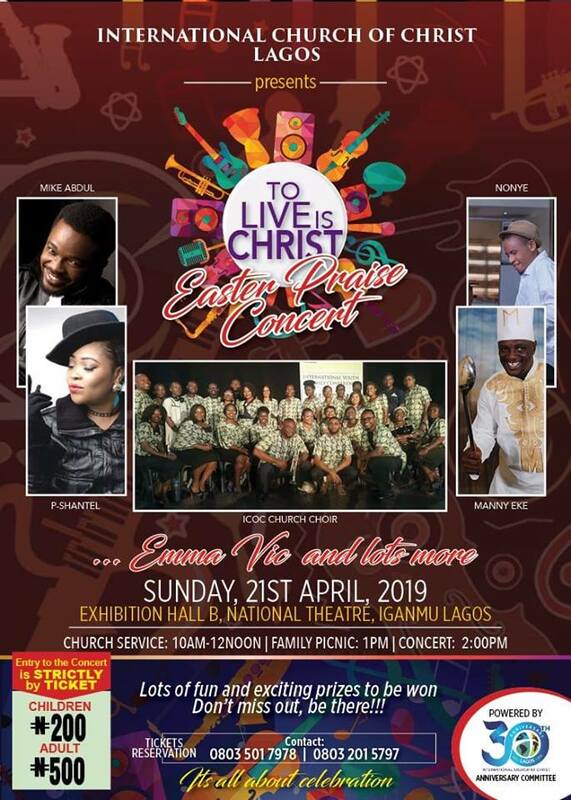 It’s the ICOC Lagos 30th Anniversary Easter Praise Concert. The ICOC 30th Anniversary all Stars and lots of other side attractions. The ICOC Lagos 30th Anniversary… To Live is Christ.